Rajeev Khandelwal, an Indian television and film actor, singer and host was born on 16th October 1975 in a Marwari family in Jaipur, Rajasthan. He is the second son of Lt. Col. C.L. Khandelwal (retired) and Mrs Vijay Laxmi Khandelwal He did his schooling from Kendriya Vidyalaya, Jaipur. He later earned a Bachelor's degree in Chemistry from St. Xavier's College, Ahmedabad. In 2007, he adopted a five-year-old girl named Swati from an institute called Muskaan. 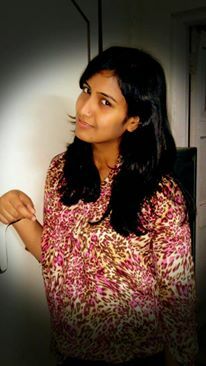 Khandelwal got married to his long time girlfriend Manjiri Kamtikar on 7th February 2011. He has said he is an atheist but he is not against people who follow any religion. As one of the most popular Indian television and film actors he has established a career in Hindi television shows and films. He is a recipient of many awards for his different performances. He started his acting career with the TV series, "Kya Hadsaa Kya Haqeeqat" (2002) where he played the negative lead in one of the stories. His first daily serial where he played the male lead is Kahiin To Hoga (2003-2005). After this he acted in many television shows which include Time Bomb 9/11 (2005), Sun Leyna (2006), Left Right Left (2007) to name a few. In 2008, he made his Bollywood debut with the film Aamir which proved to be a turning point in his career. Forth which he became part of many films like Shaitan (2011), Soundtrack (2011), Table No.21 (2013), Samrat & Co (2015) and others. Apart from acting he has hosted many reality shows which are Deal Ya No Deal, Sacch Ka Saamna, Super Cars and My Endeavour. In 2015, he returned to television with Sony TV's show Reporters. He currently stays at Goregaon, Mumbai, India. He started working with a Delhi based production house and also modeled for brands like LML, Green Label Whiskey, Videocon and many more. Subhash K. Jha of NDTV reviewed "his performance is so accomplished that he proves, not for the first time, that he's among the most engaging actorstoday. For the money, time and attention, he is the true rock star." Taran Adarsh added "Playing an emotionally unstable character is always taxing and an edgy journey for any actor, but Rajeev emerges triumphant with a bravura performance." ADA: My name is Ajaydeep Deora. ED: What is your batch year? ADA: My batch year is 2009. 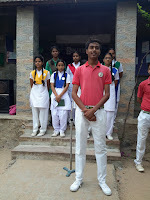 ADA: Darshan, Disha, Parul, Karishma, Surbhi, Vinay, Ravindrapal, Parikshit. ED: Who was the Principal of that time? ADA: Mrs. Parineeta Ranpal was the Principal of the time. ED: Who was the favourite teacher of your time? ADA: I have shared a very good bond and equation with almost all my teachers. But if I have to name a few, I would say Pinky Ma’am, Jatiya Ma’am, Parineeta Ma’am, Bharti Ma’am. ED: Have you ever participated in any event, tournament? ADA: I did not much participate in sports but I was a part of almost every Inter House event. I have also participated in Archery Tournament at regional level. ED: Would you like to share any experience of school? ADA: I have spent ten wonderful years at this school. Whatever I am today is because of what I learned here. There are memories of this school which I still cherish. 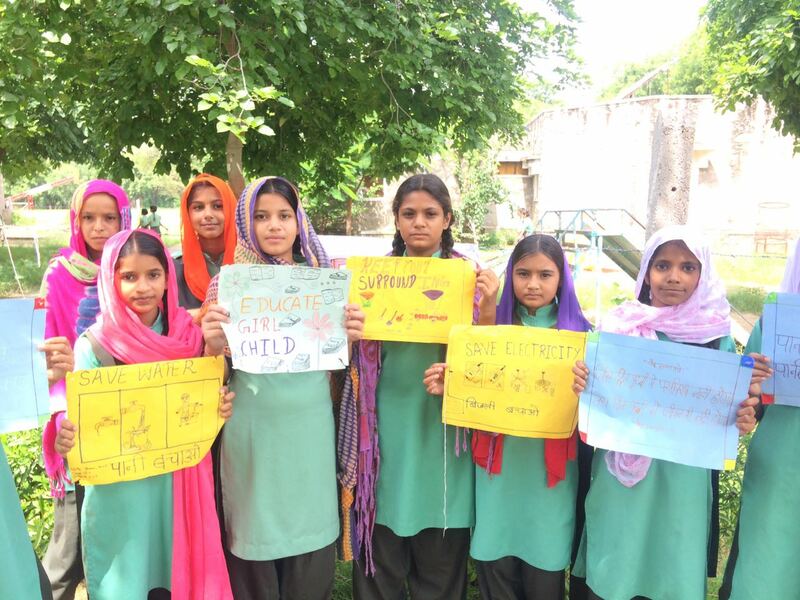 All the love that I got here makes this school an integral part of my life and myself. ED: Have you any memories which you want to share? ADA: I would like to share some memories that when I was in Class X I was voted as the Head Girl of the school. That moment can never be forgotten. I was humble to be that the majority of the student voted for me. I believe that I was kind of popular among all the students. ED: Would you like to give any message to the school, junior, friends, etc. ADA: I would like to give the message that as learn as much as you can because this learning in school will be act as the foundation for all your upcoming events of life now and also in future. 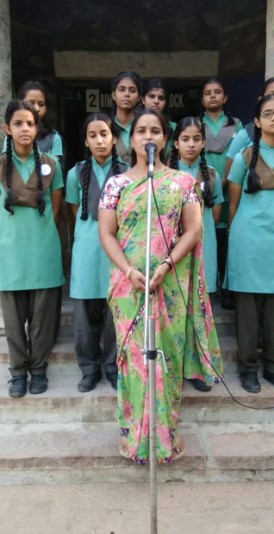 Ms. Urmila Rathod was selected as the Teacher this Week for her sincerity towards teaching and always ready to take new responsibilities. ED: When do you join the school? URE: I joined the school in 2009. ED; Who was the Principal at that time? URE: The environment was cooperative and healthy. URE:: I taught Prep Class at first. ED: What do you expect from children? URE: I expect from the children to be respectful, responsible and be a happy child. ED: Have you taught in any school before Fabindia? URE: No, I have not taught any school before Fabindia. URE: I would like to give message to the students to listen to your elders and always think positive because positive thinking is most important key to success. Be a leader for your life, goal and future. Ms.Jaya Munoyat M/O Arham Munoyat/ Nursery and Jainam Munoyat/ I was selected as the Parent this Week. She addressed the Assembly and related a story to the students in which she gave the message that all the Fabindians are Gems of Bali. JM: I am a housewife. JM: My two wards are studying here. Jainam Munoyat in Class I and Arham Munoyat in Nursery. JM: No, I have not achieved my goal. I wanted to become a lawyer but because of some circumstances I couldn’t complete my goal. JM: They should work hard and study well and shine like a diamond. They should respect everyone. JM: I have lot of expectation from the school. They should encourage students and tell them about manners. It will be ok if they will not be good at studies but they should have manners. ED: What message would you like to give the students? JM: They should work hard and concentrate on studies. Time is money so they should not waste time and they should respect everyone. Maharaj Singh / XII Sc.Math was selected as the Student this Week for helpful and friendly behavior towards both juniors and seniors. He gave the message to the students to have courage as it overcomes all fear and leads to success. He told the students to change their stereotype mentality that Math is tough subject. He told the children to have positive thinking and change their mentality towards Math. Then they will be able to create interest in Math. After reading the book "Is your Child ready to Face the World?" by Dr. Sibal for the LFIN Professional Development Program during the summer vacation, I visualized and understood the psychology of students, and as an educator decided to utilise these valuable tips in the teaching-learning process. Apart from regular Computer lessons, whenever I have a substitution lesson with any class, I have started getting my classes to the computer lab to let the students use the internet to access permissible sites, download relevant content, and save it in a folder. This has helped them in learning new tactics and using new software. Different age groups enjoyed these free periods and started requesting the substitution in-charge to assign more periods (free) to me. 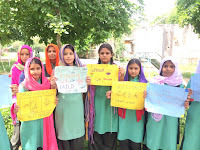 The smaller kids who used the computers in the lab felt happy and excited, and enjoyed the simple activity of coloring of objects in MS Paint. The older ones enjoyed as most of them never get a chance to search the internet, and thereby enjoyed surfing various educational sites. 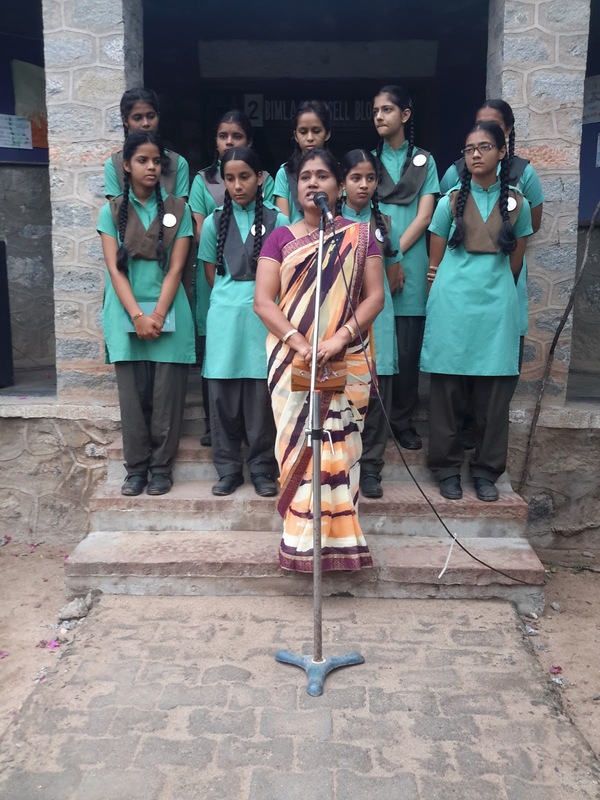 They happily collected the information that was useful to them and pertained to their interest, and shared their experiences with their parents and helped create a good image of the school. The seniors students always try to obtain necessary information, learn new softwares and technology, download previous year board exam papers, and solve online test papers to check their level of preparation for the exam. They also discuss various new apps that can help them maximize the benefits of technology. Reading the book "Is Your Child Ready to Face the World?" by Dr. Anupam Sibal has been a very pleasant experience. I liked all the qualities explained in the book, but "Making Others Happy" has impressed me the most. I believe that it is a very important quality in order to improve the ethical standards of our children. The author describes how the students live happily in their own dream world and try to reconcile the world around them with it. Nowadays, students in a classroom increasingly need happiness as they are constantly experiencing a number of pressures relating to academics, parents and their peers. The result is stress, frustration, and anger. We can make them happy by listening to them and guiding them towards the joy that resides in sports, music, nature and art. When the students in my class spot clouds in the sky, they always demand to play or study outside. And though it is difficult to send them outside on a regular basis, a creative teacher can do that some times by asking them to maintain happiness and politeness in the classroom in return on other days. A happy teacher can instil joy in the circumstances and the world of her students. A teacher can transform her classroom into a place as exciting as the Disneyland by teaching her students about values such happiness, love for nature, and sporting attitude. She can demonstrate to them the importance of having a zest for life despite its harsh realities. I remember a boy named Ajaypal in class II who always used to sit quietly in the classroom. Whenever I asked him questions or went near him, he got upset and scared. He never participated in class activities. I decided to find the reason behind this behaviour in order to solve the problem. So, I ordered him to keep smiling regardless of his mood. After some days, he began turning into a happy and confident child. He even secured the 1st position in the Inter-House English Recitation Competition. Through this incident, I learnt that a happy child never gives up hope. We should listen to them carefully, try to remove their unhappiness, and teach them with a positive approach. It is well understood that stressed and unhappy people never think positively and make mistakes in their tasks. Hence, being happy and positive is a necessary trait to lead a wholesome life. 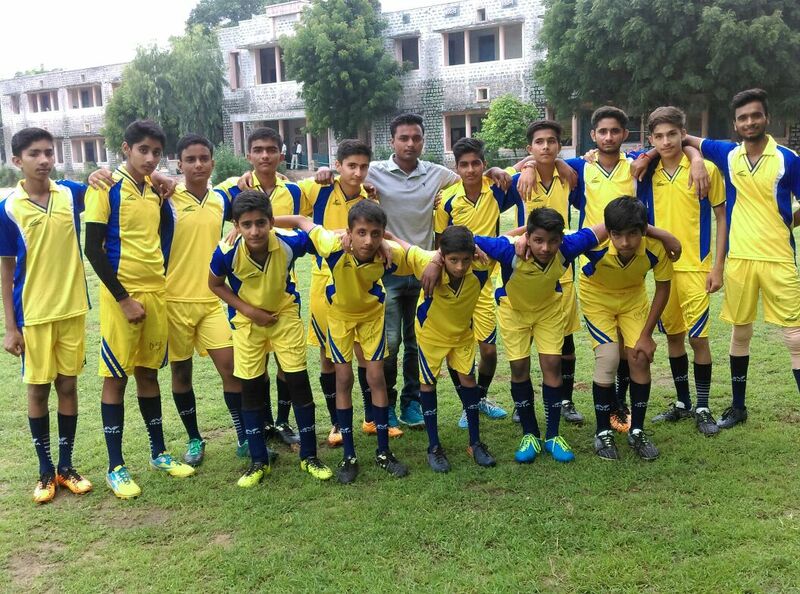 Wednesday, 9th August: The School Football Team participated in Under 17 District Football Tournament organized at Bijova. They won first quarter final by 5-0 and second quarter final by 2-0. Their performance was fabulous. But unfortunately they lost in Semi-Finals by 2-1.The team played Hard-line and were able to secure third position. Congratulations on their success. 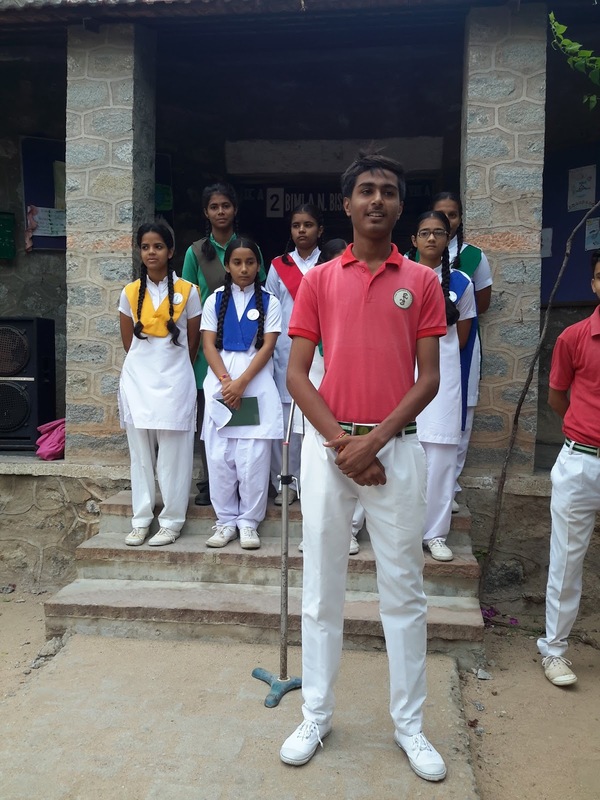 Tuesday, 8th August- Friday, 11th August: Activity Week was organized in all subjects. 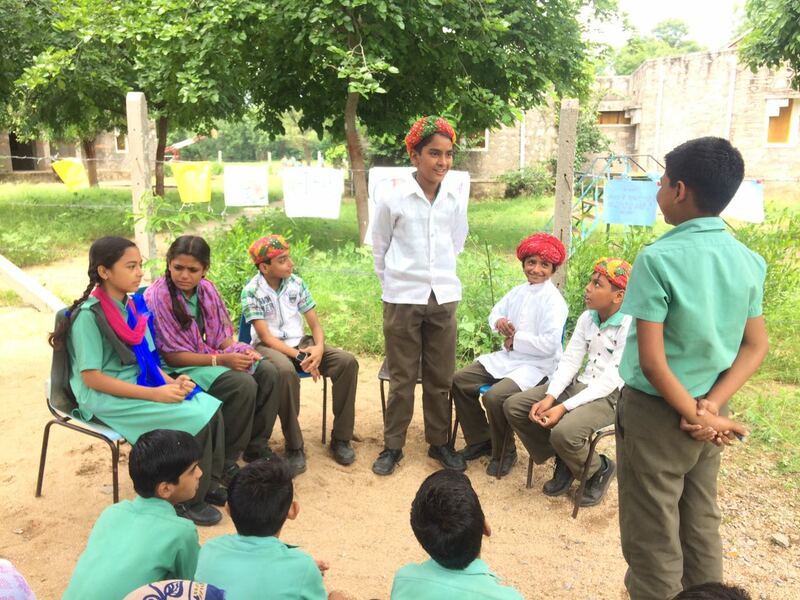 Different activities were performed from Class II-X like role-playing, model-making, class magazine, practicals, crossword puzzle etc. 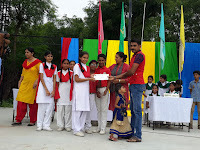 Students happily participated in the activities and gave their best. 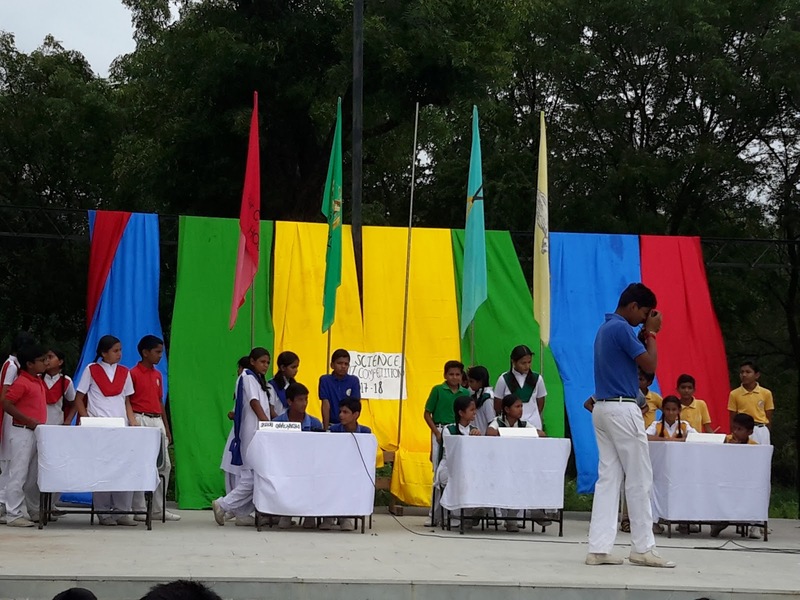 Saturday, 12th August: IH Science Quiz was organized for the students of Class VI-VIII. There were six participants from each house, two from each class. They had four rounds. Last round was rapid fire round. 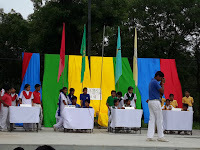 Students were prepared for the quiz and answered quickly and correctly. Mr. Mangilal Choudhary/ Parent gave away the certificates to the winner participants.